The fascia is a vertical strip of wood or metal running along the edge of the roof. This particular roof component is designed to provide protection along the edges of a roof. The fascia is vulnerable to moisture damage, however, especially if it is made of wood. If the fascia protects the edges of the roofing system, the soffit is the one keeping the underside of the roof. Located in parts of the roof that extend beyond the home’s walls, the soffit is often made of thin, lightweight material to protect the overhangs and to help provide ventilation. This also means soffit panels are prone to getting blown out of place by strong winds and cracks due to regular wear and tear. Flashing refers to the strips of vinyl or metal that run along certain areas of the roof such as the ridges, valleys, and intersections with other roof features. Although the flashing material itself is waterproof, the sealant can develop cracks or erode in time. Proper installation of flashing is important to ensure that the top of the roof is fully protected. The topmost layer of the roofing system, the shingles cover the entire area of the roof. Shingles overlap to minimize the gaps on the surface, but because they are the most exposed part of the roof, they are prone to damage by strong winds, temperature changes and even impact damage. Damaged shingles must be replaced ASAP to prevent roof leaks from getting worse. Make sure these common problem areas are properly maintained to get the most of your roof. 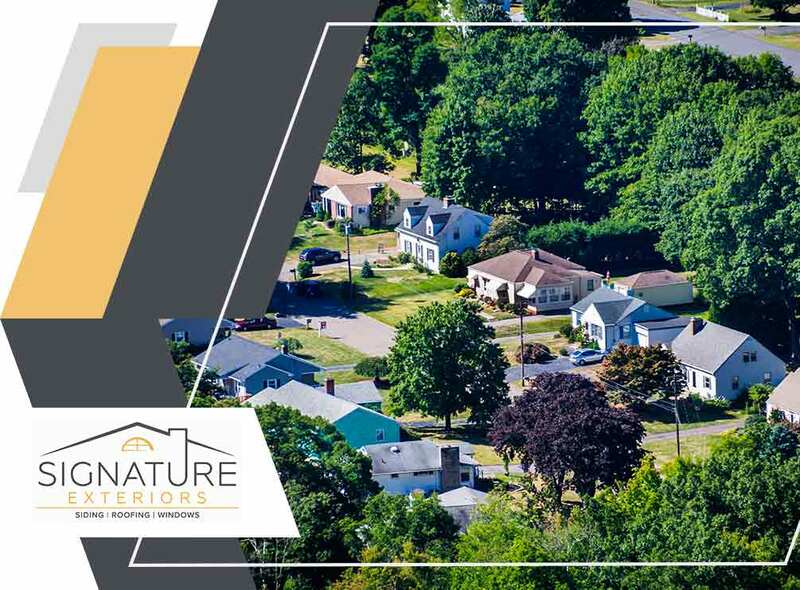 Signature Exteriors is the most trusted roofing company in Westchester, Connecticut and White Plains, NY. You can call us at (866) 244-8029 or fill out this contact form to request an estimate. « How Do Roof Leaks Affect Your Comfort and Home’s Efficiency? » Repair or Replacement: What Does Your Roofing Need?